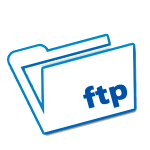 FTP is used to upload and download files from the web. For mobile business users the FTP transfer has become a very useful and important application allowing them to save money and time.In the end, operator should know that a particular care on FTP Service performance will benefit this selective group of subscribers and will be of help in the fight for user’s fidelity. FTP Servers checking and performance monitoring. Set KPIs to track performance evolution. PDP Context & VPN full session logging.